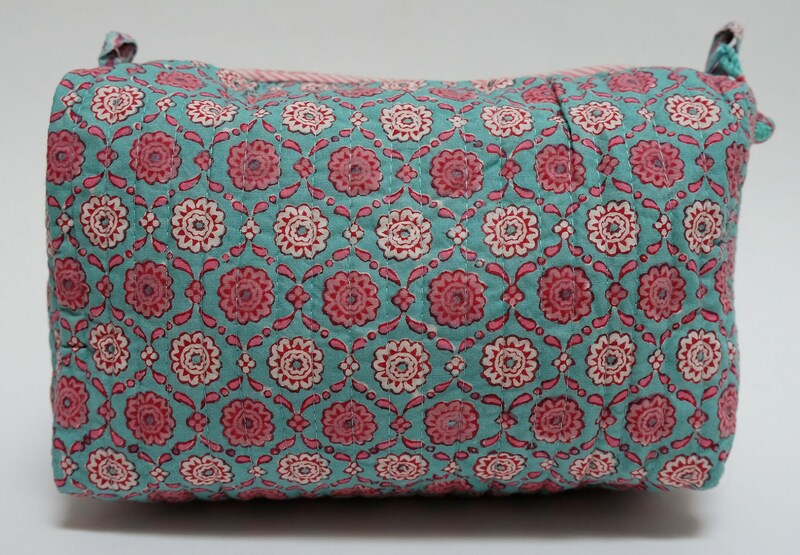 This cute hand block printed make up bag makes an ideal gift item for any occasion. The bag is very roomy and has waterproof lining and four interior pockets. 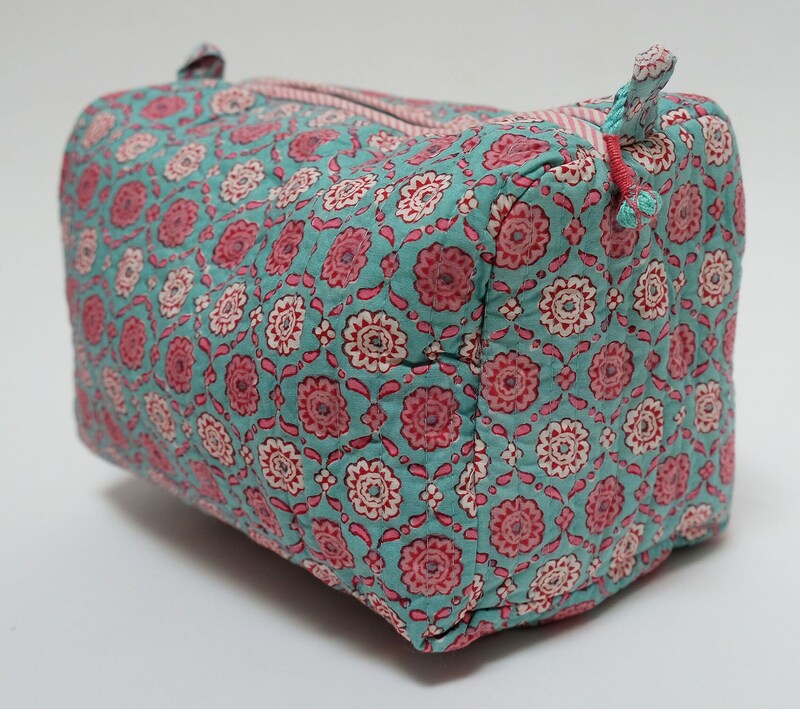 It has a zip closure at the top with a beaded toggle for easy opening.